FolleX is an exchange platform focusing on integrating user’s social profiles inside the public trading community and aims to become the world’s largest cryptocurrency exchange. The platform allows users to follow successful traders and copy their trading tactics; the traders are in turn rewarded for being outstanding in the trading platform. FolleX interface is designed to be user-friendly, simple and focuses on facilitating first-time traders. The main focus is to raise a knowledge sharing community operating in a simple and secure environment. FolleX has an addition of 24 languages and 30+ fiat currencies and in turn, provides global access to all the traders on its platform. The integration of critical features makes FolleX one of the first cryptocurrency exchanges of its kind in the crypto-exchange space. 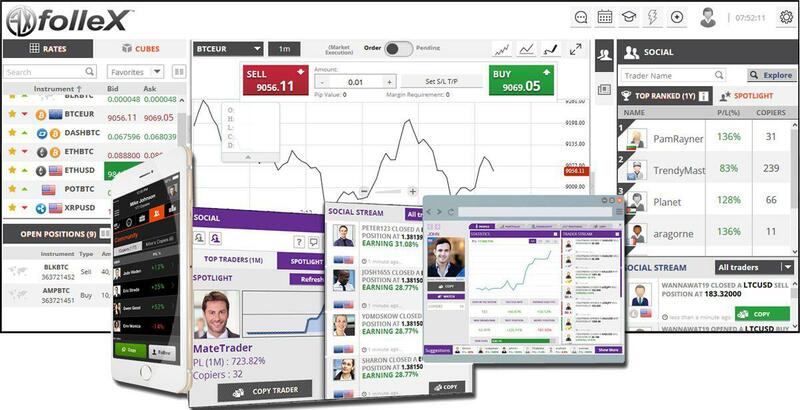 Users are offered a range of crucial information and trading tools which will assist them to trade effectively and efficiently at the right time in the market. The platform even allows successful and verified ICO to enlist their coin/ token on an exchange at no cost. FolleXTM will be offering its own ICO, Social Exchange Token [SET] on its platform and the token will be listed on the cryptocurrency exchange, Ether Delta. The token is powered by ERC20 which allows token holders to trade the token within the platform. The token is also used to reward top performing traders on the FolleX platform who make transactions through the SET token. Users can even waive off the trading fee in exchange for a SET token. The SET token ICO pre-scale will effectively commence on 23rd March at 12:00 UTC and is allocated only for FolleX pre-registered subscribers. The main sale will start on 25th March and all the participants can buy the token over three rounds. Once the user finishes the “Know Your Customer” and “Anti Money Laundering” process through banking platform provider Crypto Capital; they will be allowed to trade with partnering exchanges without a need for re-verification. In order to maintain a trusted and efficient trading platform, FolleX provides 24*7 customer and telephone support, live chat and knowledge base videos. In addition, FolleX has 24*7 exchange security monitoring team, certified police cleared staff and cold storage of digital assets to protect the platform from hackers and internal security threats. FolleX, in partnership with ADCN and Leverate, is all set to change the way a trader uses an exchange platform and turn in more engagement in the trading platform. Another important Question asked by the AMBCrypto team: How do you think FolleX is going to make a difference to the blockchain and cryptocurrency world? “Just as Facebook lead the way in the development of online social interaction. FolleX is positioned to lead the way in social cryptocurrency trading. * Providing an inviting trading platform for nervous first timers in a knowledge sharing community of traders. No trading skills required. * A unique rewards system that allows for FolleX SET tokens to be used to wave trading fees. The spent SET tokens are allocated to top performing traders. TRON [TRX] and BitGuild set to revamp the gaming industry together! Stellar Lumens [XLM] now available on Koinex – Rocketing to the moon again? The first round of Bibox orbit went live on Monday, April 22nd [GMT+8]. 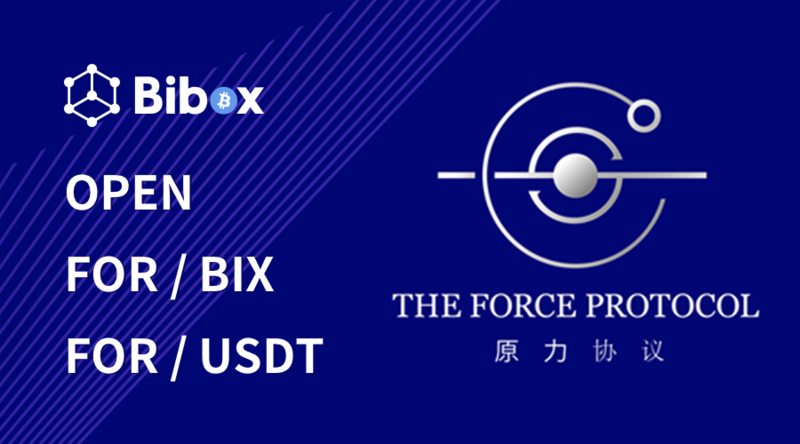 FOR [the Force Protocol], LUD [Ludos], IX [X-block] are the three participating projects listing on Bibox Orbit. During the subscription, there were more than 56,000 participants. The average access rate to three projects reached approximately 11%, per Bibox official statement. FOR paired with BIX is available to trade now on Bibox since 2 pm, April 23rd, [GMT+8]. Within only 1 minute after opening the market, FOR’s price pumped over 800%, compared to its subscription price. Users now are also able to trade FOR/USDT on Bibox. Trading pair LUD/BIX will be opened on Bibox at 8 pm, April 23rd [GMT+8]. Bibox, one of the world’s largest crypto exchanges registered in Estonia, has offices in the U.S., Switzerland, Canada, China, South Korea, Japan, Singapore, and Vietnam, with plans to expand to more countries. Bibox traders enjoy secure, stable, and user-friendly digital assets management services, with access to over 100 high-quality coins and over 200 trading pairs. As of April 2019, our registered users have exceeded 2 million. In the last 24 hours, the trading volume reached $847. For more details contact Ms. Lin or visit here.